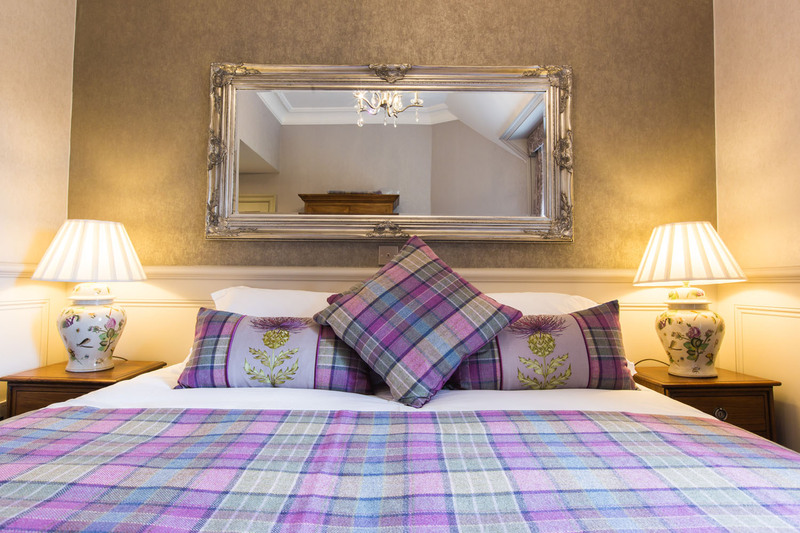 Tomatin is a superking/twin room that overlooks the grounds of Muckrach, the forestation and mountains beyond. The Manhattan bed potentially offers the best sleep ever with the luxury of a Hypnos Richmond mattress (with upholstery known as the “God of sleep”), premium pillows and soft white cotton bedding. Located on the first floor by staircase. Tomatin can interconnect with Cairngorm to be a family room.